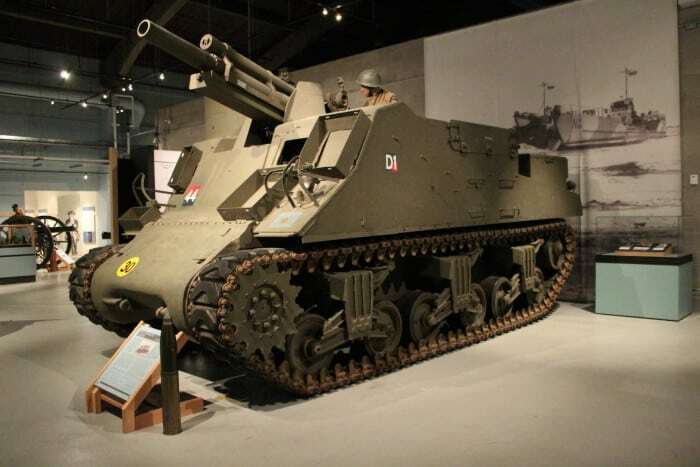 The M7 Self-Propelled 105mm Howitzer was called the “Priest” by troops because the bulge on the right side, designed as a mount for a machine gun, reminded them of the pulpit in a church. Designed and built in the USA, Priests were used in action by Canadians in Italy and North West Europe. Ninety-six Canadian Priests landed on D Day, 6 June 1944. 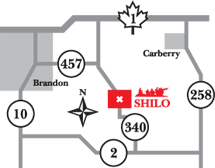 After D Day, 72 were converted into the first Canadian armoured personnel carriers. The Howitzers were removed and armour plate was welded over the front. The vehicles were then used to carry 10 infantrymen. Officially called “Kangaroos”, the Gunners who continued to drive the vehicles referred to them as “De-Frocked Priests”.